Creating a flexible work program for your organization can seem tricky, but using a systematic approach to refine your program will produce a list of options that benefit both your organization and your employees. Flexible work is happening in your organization, whether it is through a formal program, or not. Many employees have “deals” with their managers to work from home once a week, or to leave early the occasional day for personal reasons. This makes the case for organizations to formalize their flexible work arrangement (FWA) programs, as these kind of under the table arrangements lead to inequity and tension for employees who aren’t allowed to have the same privileges. It also means that employees’ use of FWAs isn’t being monitored. Despite the reluctance of executives and managers to implement formal FWA programs, there’s actually more of a likelihood that a formal FWA program will create fair guidelines that suit both the employee and the employer, and create greater productivity and morale. Flexible work arrangements are no longer a trend, but table stakes for most HR departments. The broad category of Flexible Work Arrangements was the second most frequently implemented trend, and the fourth most impactful trend as per McLean & Company’s HR Trends and Priorities 2014 Survey. Getting the mix of types of flexible work right is vital to the success of your FWA program. 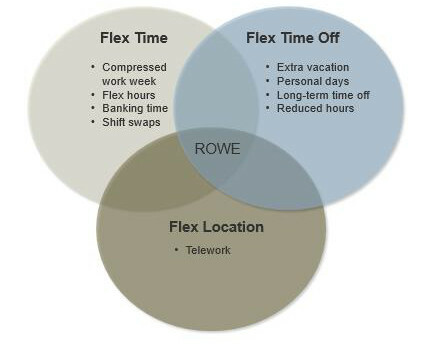 For the purposes of our project, we divided the types of flexible work into 4 categories: Flex time, flex time off, flex location, and results only work environment. 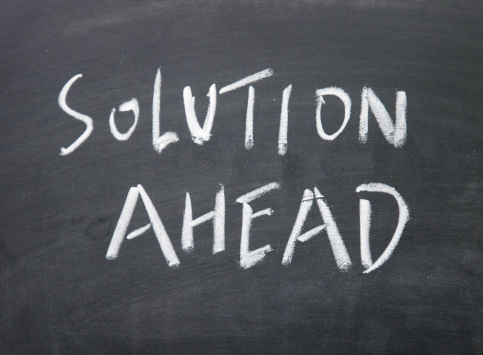 What is the problem you are solving for? Flex location can help cut down on real estate costs if you downsize office space, but that doesn’t mean it’s right for all organizations. What are you looking to fix and/or optimize by implementing FWA? What do your employees want? Your FWA program can dramatically help employee engagement and productivity, but only if the flexible work types selected are the ones that employees actually want and need. Use focus groups, or a sample survey to try and figure out what it is your staff needs. Involving your team also helps to get their buy in to the program. What can your management team support? One of the most common factors in the failure of FWA programs is lack of manager buy-in. You want to implement enough FWA types that all employees can find something to work for them, but not so many that it becomes unwieldy for managers to keep track of where and when their employees are working. What FWA types is the work itself conducive to? This is the most important piece of the puzzle. Ultimately you want your FWA program to improve workplace productivity, not hamper it. Consider allowing different FWA programs by department, based on what their work type suits best. Keep in mind that some types of flexible work are easier to implement than others. Make sure that you are choosing options that suit your organization and that you are creating boundaries and guidelines that both employees and managers feel comfortable with. A pilot is a great way to test out your options and see if your program needs tweaking. Once your organization decides to implement flexible work, use it to your advantage! Make sure that you promote it on the careers portion of your website, and communicate it widely to your current employees. how does this company use flexible schedules?